July 25, 2017 – Memories Splash, a tried-and-tested family-loved all-inclusive resort in Punta Cana, is celebrating industry-leading award wins, a testament to the quality vacation experience the resort consistently provides. “We are extremely proud of the very positive guest feedback we have received since the resort opened in 2013, yet each day our committed teams continue to provide the best hospitality to every guest,” said Jordi Pelfort, Managing Director. This year, Delta Vacations honored Memories Splash with the 2017 Quality Assurance Award for providing high-quality experiences to over 99% of their clients who stayed at the resort. Its 525-rooms and endless activities create the ideal vacation for families and couples of all vacation preferences with great all-inclusive features such as complimentary access to the largest on-site water park in the Caribbean. The first distinction from Delta Vacations for Memories Splash, this year’s accolade comes on the heels of multiple awards for exceptional and consistent quality service in 2016 and 2017, namely both the 2017 Trip Advisor® Certificate of Excellence, and the Travellers’ Choice Award, the travel review site’s highest honor. The resort’s guest-favorite range of amenities a kids club that includes the Seaside Summer Camp Adventure from June to September, and a teen lounge geared to junior, more independent travelers. 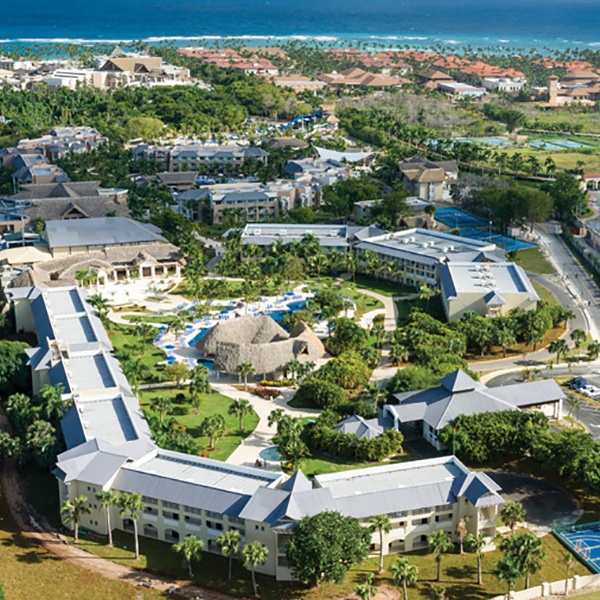 Parents are sure to enjoy the all-inclusive dining options and spectacular evening entertainment plus access to the newly opened casino and world-class The Royal Spa at neighboring Royalton Punta Cana. Until August 7, guests can save up to 53% off when booking online. Memories Resorts & Spa welcome guests to “Celebrate the Moments” with family and loved ones in lush tropical settings across Cuba and the Dominican Republic. Memories Resorts provide top-notch facilities and amenities, laid-back ‘toes in the sand’ elegance with personalized service, all-inclusive features and spacious accommodations to suit the needs of each traveler and family group. With world-class à la carte dining, unlimited premium drinks, and day-to-evening entertainment, families, singles and groups enjoy Memories Resorts & Spa as the ultimate vacation to create unforgettable memories.